How will people apply for individual health insurance post-2014? What questions will be asked, and how will the process work? These are common questions. If employees are familiar with applying for individual health insurance now, the application process will change in 2014 because of health care reform. Our biggest tip to any employer or employee is: work with a health insurance agent to help employees navigate insurance plan options, the new marketplaces, and the federal premium tax subsidies. Here's an overview for employees on how individual health insurance works, what to expect when applying for individual health insurance, and how to apply for individual health insurance post-2014. Any individual or employee can purchase an individual health insurance plan. You select the insurance company, the plan, and the options that best fit you and your family (such as what is covered, network of doctors, deductibles, co-insurance, etc). You can purchase the plan from a health insurance agent or broker (recommended), through the public new health insurance marketplaces, online through a private insurance website, or directly from the insurance company. The public health insurance marketplaces will open for shopping and enrollment October 1, 2013, with plan coverage starting January 1, 2014. Once purchased, the plan is yours. Unlike most employer plans, you can switch plans, coverage options, or even health insurance companies any time you want. The plan is portable. If you leave your employer you can keep the plan. Four significant changes are happening to individual health insurance in 2014 because of health care reform ("ObamaCare"). Guaranteed-Issue: Medical underwriting goes away and all plans will be "guaranteed-issue". This means that all individuals will be accepted regardless of health status, and will not pay more because of health status. The only uprating (charging more) allowed will be for tobacco use, age, and location. And, health reform puts limits on the amount an insurance company can up-rate for these factors. This is a change because currently, in most states, insurers can charge more based on health conditions, or deny applicants all together. Federal Premium Tax Subsidies: Premium tax subsidies will be available to eligible individuals, for plans purchased through the individual health insurance marketplaces. Households with income between 100% and 400% of FPL who purchase coverage through a state (individual) health insurance exchange are eligible for a premium tax subsidy to reduce the cost of coverage. To be eligible, employees cannot be offered affordable, qualified health insurance through their employer. See this overview for details on the premium tax subsidies. Essential Health Benefits: Starting in 2014, all plans will be required to include essential health benefits, a core package of items and services. Open Enrollment Periods: There will be set open enrollment periods when employees can enroll in guaranteed-issue health insurance. The first open enrollment period is October 1, 2013 to March 31, 2014. The marketplace open enrollment periods ensure that individuals and families don’t wait until they get sick to enroll in coverage, or switch to more comprehensive coverage when they are about to have an expensive medical procedure. Step 1: Go to your state's Individual Health Insurance Marketplace website (e.g. www.healthcare.gov). Step 2: Complete online or paper application. 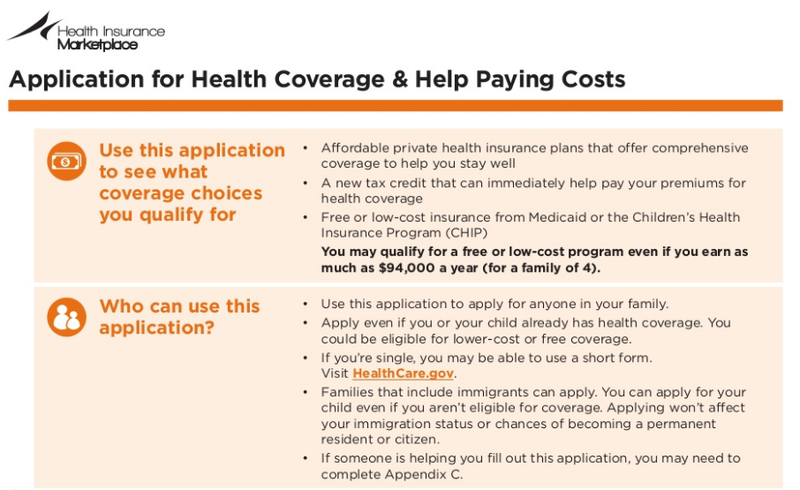 See sample health insurance marketplace applications here. Step 3: The website will display all available plan options within metallic tiers. Displayed cost will factor in premium tax subsidies. Step 5: Marketplace bills you for your portion of premium (i.e. the total premium minus premium tax subsidy) and forwards your payment to the carrier. *These questions will only be asked if you are applying for federal assistance (premium tax subsidies, cost-sharing, Medicaid, CHIP, etc). 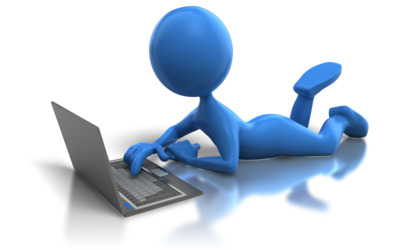 Will applying for individual health insurance in 2014 be easier than now? Join the discussion in the comments below.